It’s been a week since we said goodbye to my mother, and I’m coming to the end of a short period of rest and reflection in Madrid. I wanted to do three more things related to her passing. The first is to thank all those who via this site, or Facebook, or directly, sent their support in the days after Joyce died. It meant a lot, and whether you knew Joyce or not, it helped, to know people were thinking of her. The second is to mention something I didn’t include in my Eulogy at the service – largely because I didn’t think I could have got through it. But It expressed a great deal about my mother. On her last day, when she had almost nothing else left, a nurse was trying to get her to sip some water. 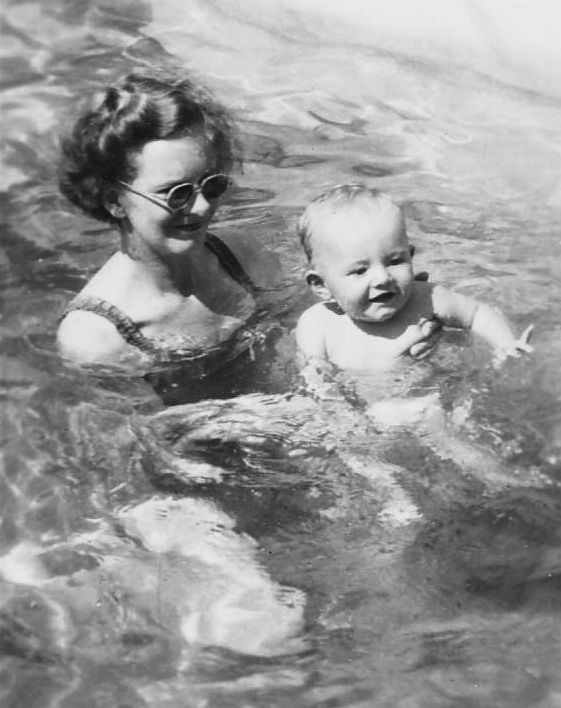 I could see my mother moving her lips and I lent forward to hear what she was saying. It was “thank you”. Those were the last words I heard her say, and close to the last words she said in her life. When she was down to the last shreds of energy, she used it with grace and politeness, as she had done her whole life. And the third is to include the poems that Lauren spoke at the funeral She followed me in the order, and I had difficulty getting through my part. Lauren not only delivered her first poem beautifully, she made everyone laugh with the second, and we finished the service uplifted by Joyce’s humour, as well as her grace and love of people. I am the thousand winds that blow. That’s a very sad poem, but when i think of my grandmother, sad is the last thing she ever was. One of my most enduring memories is of reading A A Milne with her in bed at night when I was a little girl staying with my grandparents. Winnie the Pooh, of course; but especially Now We Are Six. There was one poem she used to read me – of all our many, many favourites – and it always used to have us in stitches of laughter; because it was about daddy and John. I’d like to read it to you now. Then I’d be Six and he’d be Three. I shouldn’t have these trousers on. And that is how I remember grandma – always laughing. 1. John is my brother. 2. The picture at the top of this post is of my mother teaching me to swim in Penang, Malaya, where I was born, in around 1953. 3. 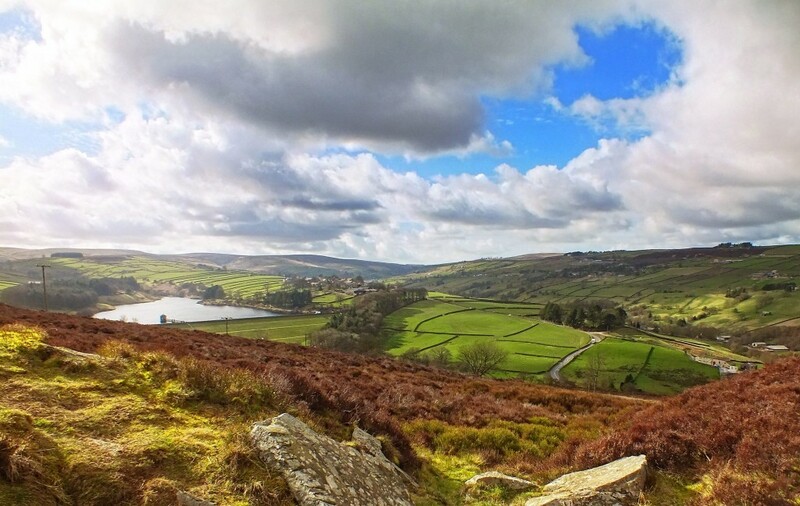 The picture above, is of the view over Haworth moor from the cemetery where she wanted her ashes laid. Very moving….a very sad time for you all….We will never forget our mothers…..that’s one of our most cherished memories…..
New Photo tech site: Shoot Light! Hmm, I see that the last ‘latest news’ was published in December 2015. I actually stopped updating the site in September 2016, so either way it’s been a while. I am gradually returning the site to normal operation – starting with Virage Corner, a section that is simultaneously the most obscure and the most used of the entire site. But I have doubled the number of repair and maintenance tips there, and should you happen to have one of the 363 Virage coupes ever manufactured, you will find a wealth of new discoveries. In the last ‘news’ I mentioned that I would be moving to FaceBoook for most posts. That wasn’t such a good idea. For reasons I have described in my first ‘return to normal’ post, I am very much out of Facebook. To the extent I ever publish opinion pieces again, I’ll put them here, along with photos and other interesting stuff. If you are returning here, thank you for your patience. If you are new, welcome……. I am just going outside and may be some time……………. If you have a Yahoo or Flickr account, read this! Brexit – Is Andrea Leadsom the UK’s Carly Fiorina? Modern medical practitioners are well aware of the importance of a stodgy diet, supplemented with roughly equal parts of the three major food types, Amyloids, Glactoids, and Putrate of Lead. The first two can be obtained, as we all know. by repeatedly knawing at a raw turnip, or gourd. However, other than Abysmaloid Powder, there are few easily digestible sources of Putrate of Lead, and the violent fizzing and offensive fumes when mixed with cold tea make ingesting the Powder a challenge for the elderly. However it has recently been found that mulched cardboard from Amazon packaging, can when steeped in Dr Henderson’s Sauternes Extract, provide a tasty and convenient alternative.